You are here: Home / Who Was the Pharaoh of the Exodus? First off, I apologize for the long delay in getting this post up. As promised, let us now consider what is perhaps THE greatest salvation event in the entire Old Testament – the Exodus. 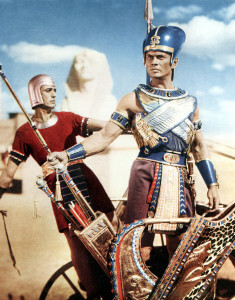 The Exodus is not just an old Hollywood movie in which Charlton Heston played Moses, it was an event grounded in history and is a record of the redemption of an entire nation based on God’s promises to Abraham centuries earlier (see Gen. 12; 18; & 22). As many Christians are aware, the entire Old Testament predicts and anticipates Christ in type and in prophecy. The biblical Exodus and Passover, both point to Christ as the symbolic and true Passover lamb whose blood was shed to atone for the sins of the nation and redeem all those who believe – not just for Jews but anyone who will believe. The 64 million dollar question, however, is how do we know the exodus actually happened like the Bible says it did? Most Christians take the biblical account at face value and believe that it happened as the Bible says, yet few can point to evidence outside of the Bible that it actually took place. Understandably, many skeptics are quick to point out that there is not a shred of historical evidence for any Israelite exodus from Egypt. Let me state here that a blog article is certainly NOT the place to learn everything there is to know about all of the complex historical dimensions of the Exodus, but hopefully it will answer some of your questions and provide an answer to those who would question the biblical record. IF this is the correct date of the exodus then, in theory, we should be able to locate archaeological remains of that event in ancient Egypt. But not so fast. Just because we might have the right date doesn’t mean that Egyptian evidence will be evident. More questions need to be asked. Before we look at some of those questions, let’s begin with what is probable: the identity of the pharaoh of the Exodus. Who was he? Furthermore, what do we know about him? This might seem like a simple question, but it is a bit more complex than one might imagine. I find it rather interesting that the Exodus account in the Old Testament doesn’t mention the name of the pharaoh. Since Moses was the author, he certainly could have named him. So why didn’t he? In short, I believe that pharaoh’s name is not mentioned on purpose. Throughout the Exodus narrative, the pharaoh either implies or asks “Who is the Lord that I should obey his voice to let Israel go? I do not know the Lord, nor will I let Israel go” (Ex. 5:2). The irony, perhaps intentional, is that we don’t know pharaoh’s name, but we do know the Lord’s name (Yahweh – “I AM”). The book of Exodus, was not written to exalt the Egyptian pharaoh (who was considered “the divine god-king”), but rather the God of Israel. An additional problem in ascertaining the exact pharaoh of the Exodus has to do with a debate within Egyptology itself. The debate concerns assigning correct dates to the reigns of Pharaohs. The dating of Egypt’s pharaohs comes primarily (although not exclusively) from the 3rd century B.C. Egyptian priest & historian Manetho who ordered the reigns of the pharaohs into thirty dynasties or families, in his work Aegyptiaca (History of Egypt). The ancient Egyptians themselves kept record of time according to an astronomical cycle called the Sothic cycle. One of the reasons why many scholars today argue for a revised chronology of ancient Egypt is the question of whether or not the Sothic cycle is a reliable method for dating. To make a very long and complex story short, I’ll state here that I hold to the revised chronology which makes minor adjustments on dates and therefore affects the identity of the pharaoh. According to the standard chronology, most critical scholars believe that Rameses II (ca. 1304-1236 B.C.) was the pharaoh of the exodus. There are, however, many problems with identifying Rameses II as the pharaoh of the exodus, one of which is that he was one of the longest reigning kings in ancient Egypt. As Merrill points out, “If Rameses’ death had brought Moses back to Egypt, the exodus would have taken place after 1236, a date too late to satisfy anybody.” But perhaps, more importantly, there is no archaeological or inscriptional evidence in Egypt or ancient Canaan which fit the biblical descriptions. But, don’t despair! With a little detective work; a starting point of around 1446 B.C. ; and a knowledge of the Egyptian 18th Dynasty, it is possible to ascertain the probable identity of the pharaoh in the book of Exodus. Interestingly, there are about three pharaohs whose lives parallel and interact with the OT Exodus narrative: (1) the pharaoh who issued the decree to kill the firstborns; (2) the pharaoh of the oppression of Israel and (3) the pharaoh of the actual exodus event itself. Because of space, we’ll look at the first and last one. From chronological considerations found in the biblical text, it is very possible that Amenhotep I was the pharaoh who issued the decree in Exodus 1:15-16 to kill all male Hebrews. As we look closer at this time frame in Egyptian history we also discover that Thutmose I (1528-1508 B.C. 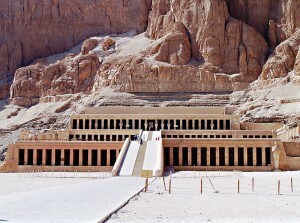 ), the son of Amenhotep I, had a daughter named Hatshepsut. Hatshepsut is fairly well known from historical and archaeological sources and has a very interesting story herself. In order to secure royal inheritance rights for herself, Hatshepsut married her half-brother Thutmose II. When Thutmose II died prematurely, Hatshepsut assumed the role of pharaoh along with and her younger (male) nephew (& stepson) Thutmose III. As William Murnane observes, “Although Hatshepsut did not dethrone her nephew, she asserted a claim to royal power equal to his and, as senior coregent, took precedence over him in contemporary monuments.” During her co-regency with the younger Thutmose III, Egypt enjoyed a time of prosperity and great building. 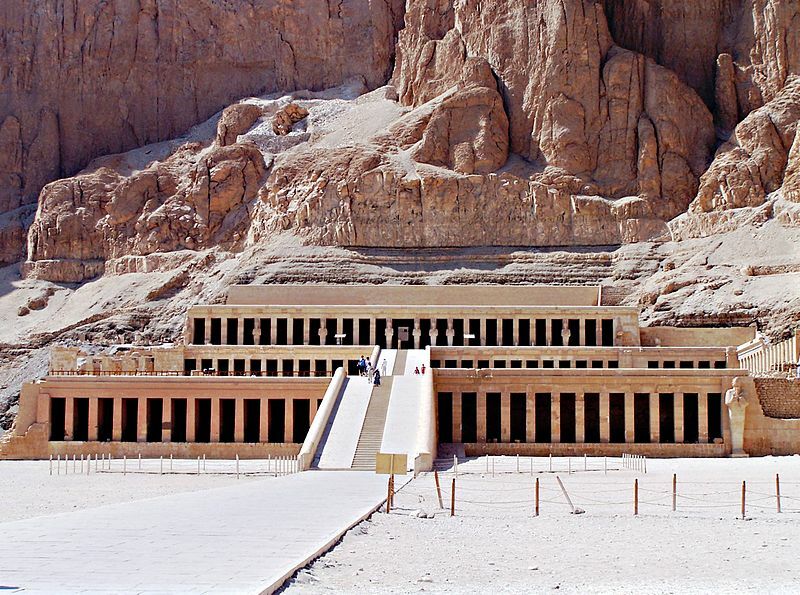 One of the most well known structures which survives today is the queen’s mortuary temple (also called Deir el-Bahari) located in the Valley of the Kings. It is very possible that when she was younger, it was this bold young queen who drew Moses from the Nile (Ex. 2:5-10). In another touch of irony, Hatshepsut is said to be one of the first women in ancient history of whom we are well informed. If she is the daughter of pharaoh who rescued Moses from the Nile against the decree of her grandfather Amenhotep I, then it seems appropriate that she is remembered in both Egyptian and biblical history. Our identification of Amenhotep II as the pharaoh of the exodus is supported by two other considerations. First, although most of the kings of Dynasty 18 made their principle residence at Thebes, far to the south of the Israelites in the Delta, Amenhotep was at home in Memphis and apparently reigned from there most of the time. This placed him in close proximity to the land of Goshen and made him readily accessible to Moses and Aaron. Second, the best understanding suggests that Amenhotep’s power did not pass to his eldest son, but rather to Thutmose IV, a younger son. This is at least implied in the so-called dream stela found at the base of the Great Sphinx near Memphis. Amenhotep II was a famous sportsman in his youth and he left several stories of his physical abilities (ANET 243-45). For example, it was recorded that no one else was strong enough to draw his bow. One day he tested two hundred stiff bows and then began riding his chariot around a series of copper targets, each about three inches thick. According to the story, every shot hit the mark, and the arrows fell through the back of the targets. 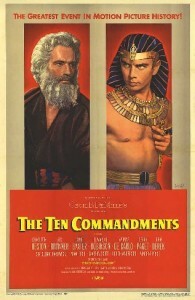 In addition to these and other traits of bravado and military prowess, it is understandable why Moses was reluctant to confront the pharaoh as God had commanded him. Yet, as the story unfolded in Exodus and the Lord God sent the ten plagues to Amenhotep II, we read that the he “hardened his heart” against God and against setting the Jews free. This seemingly benign statement – “the hardening of pharaoh’s heart” – is also an argument for the authenticity of the biblical account. If (or since) Moses was the author of the Pentateuch, and he had first-hand knowledge of Egyptian culture and religion, then he certainly would have understood that the “hardening of the heart” was not a good thing. This is according to the Egyptian Book of the Dead (Papyrus of Ani). This document was a religious text which describes what happened in the afterlife according to Egyptian religion. After death, the pharaoh’s heart was weighed in a scale balance by Anubis (the god of the underworld) against the feather of ma’at or truth. To have a heavy heart or a hardened heart (i.e. 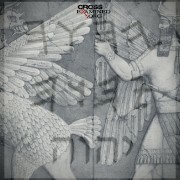 a stubborn/proud heart) would have condemned the pharaoh in the afterlife. Interestingly, most ancient Egyptian mummies (especially pharaohs) have been found buried with sacred trinkets and scarabs (dung beetles) made from gold or other materials, and would have been placed over the heart to protect it in the afterlife. These scarabs were inscribed with spells from the Book of the Dead. 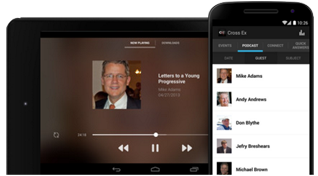 There is so much more that I could mention here, but as you can see from the above discussion, this is just the tip of the iceberg (as they say) of evidence for the biblical exodus. There is actually much more internal textual and literary evidence that the Exodus account is genuine, but space and time will not allow us to review it here. For more detailed information I would recommend two of the best sources I know of which are accessible to most people: (1) Ancient Egypt and the Old Testament by John D. Currid, and (2) Israel in Egypt: The Evidence for the Authenticity of the Exodus Tradition by James K. Hoffmeier. I think it’s probably safe to say that many biblical skeptics demand spectacular evidence and spectacular evidence may be forthcoming. Research is continuing in this fascinating field and new discoveries are being made every year. One thing I can say confidently, is that so far, the Egyptian evidence, when properly understood is consistent with the biblical record. Even our adherence to the new chronology is within the pale of academic respectability and orthodoxy. In my final blog on this subject (which hopefully will not be this long! ), we’ll examine other evidences of the Exodus as well as evidence for the military conquest of Canaan under Joshua. See, Walter C. Kaiser, Jr.’s, The Messiah in the Old Testament (Grand Rapids: Zondervan Publishing, 1995) & Sam Nadler’s, Messiah in the Feasts of Israel (Charlotte, NC: Word of Messiah Ministries, 2006). See Ziony Zevit, “The Biblical Archaeology versus Syro-Palestinian Archaeology Debate in Its American Institutional and Intellectual Contexts,” in James K. Hoffmeier and Alan Millard, Eds, The Future of Biblical Archaeology: Reassessing Methodologies and Assumptions (Grand Rapids, London: Eerdmans Publishing Company, 2004), 3-19. Eugene H. Merrill, An Historical Survey of the Old Testament, Second Ed. (Grand Rapids: Baker Books, 1991), 97. Eugene H. Merrill, Kingdom of Priests: A History of Old Testament Israel (Grand Rapids: Baker Books, 1993), 58. See, William W. Hallo & William Kelly Simpson, The Ancient Near East: A History (London: Harcourt Brace Jovanovich Publishers, 1971), 210-213. For more on this, see David M. Rohl’s book, Pharaoh’s and Kings: A Biblical Quest (New York: Crown Publishers, 1995). In this book Rohl argues for a revised chronology of ancient Egypt based on refinements in archaeology and inscriptional evidence. Merrill, Kingdom of Priests, 62. William J. Murnane, “New Kingdom (Dynasties 18-20)” in David Noel Freedman, Editor in Chief, The Anchor Bible Dictionary, Volume 2 D-G (New York: Doubleday, 1992), 348-53. Attributed to Egyptologist, James Henry Breasted – not sure of the original source. Merrill, Kingdom of Priests, 63. Alfred J. Hoerth, Archaeology and the Old Testament (Grand Rapids: Baker Academic, 1998), 161. Considered sacred in ancient Egypt. Thousands of these have been discovered in the Ancient Near East. See, The Book of the Dead (The Papyrus of Ani) Egyptian Text Transliteration and Translation by E.A. Wallis Budge (New York: Dover Publication, 1967). This work contains many fascinating details on Egyptian culture, religion and beliefs about the afterlife. Tags is the Old Testament true? Was There an Exodus & Conquest? Was the God of the Bible Copied from Ancient Myths?